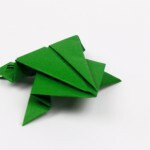 The origami frog is a traditional model that is very easy. In fact, it is the very first model I learned. So I can safely recommend it for beginners. It takes about five minutes to fold. 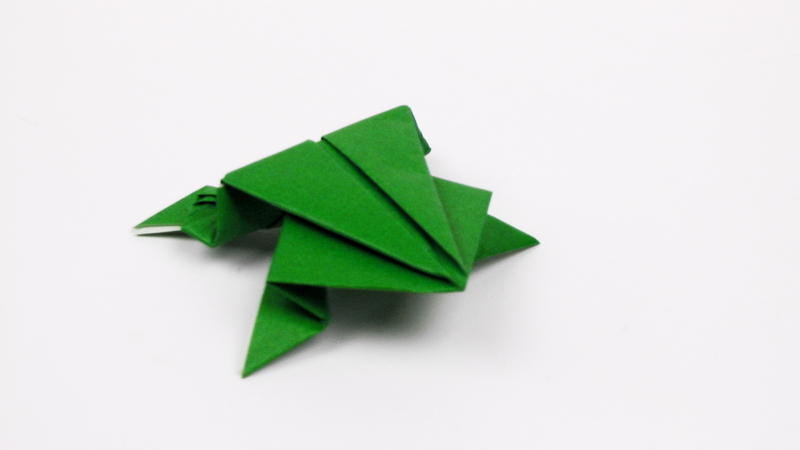 Once you practiced a little how to fold this jumping frog you will be able to fold it much quicker.